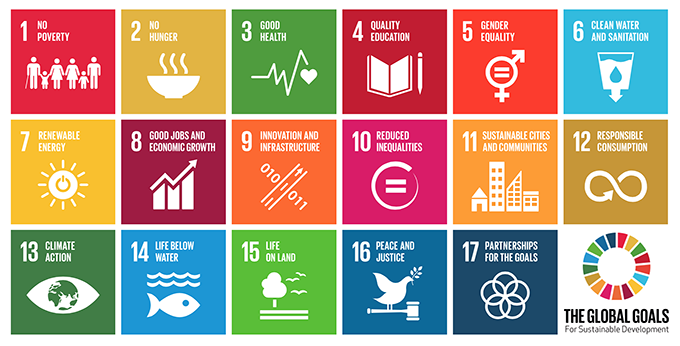 In an unpredictable and insecure global political scene, the United Nations’ Sustainable Development Goals (SDGs) are intended to tackle pressing global challenges. Agreed on by all participating countries, includin… Learn more. This year’s World Cup was supposed to be the “greenest ever”, with FIFA taking measures to account for the event’s greenhouse gas emissions, including an estimated 2.7 million tonnes of carbon dioxide. As … Learn more. In some ways, municipal efforts toward sustainability are outpacing academic ones. However, it’s easy to misinterpret the value and content of municipal sustainability initiatives. In fact, some of them seem intentio… Learn more. Defying conventional wisdom about the limits of wind power, in 2012 both Iowa and South Dakota generated close to one quarter of their electricity from wind farms. Wind power accounted for at least 10 percent of elec… Learn more. Forests provide many important goods, such as timber and paper. They also supply essential services—for example, they filter water, control water runoff, protect soil, regulate climate, cycle and store nutrients, a… Learn more. I spent last week getting to, attending, and then getting back from this year's AASHE conference in Los Angeles. As I headed west, I had planned to post pretty much every day, giving my reactions to things I'd experienc… Learn more. New polls frequently announce that a significant proportion of the population is concerned about an issue or willing to sacrifice for a cause, from environmental sustainability to Third World debt. These polls create the… Learn more. GABORONE, BOTSWANA. While I am an American, I couldn’t agree more with the sentiment that it is inappropriate for the United States to have a strangle hold on the World Bank Presidency. I also sympathize with the fru… Learn more. Green Corporations… Can you trust them? Wal-Mart, McDonald's, Coca-Cola, Sprint, KFC, Shell, Chase, Ford, Staples, CVS and the long list goes on. These larger than life brands immediately conjure up images and thoughts of our past experiences that have either… Learn more.